The ‘croft’ of the title is a piece of cultivable land which is left untilled in order to devote it to a supernatural being, one name for whom is the ‘good man’. The practice is documented in Scotland in the sixteenth and seventeenth centuries through official and kirk records concerned with stamping out the practice and in the eighteenth and nineteenth centuries through accounts which see it as an interesting survival from the past. The setting aside of the piece of land had a definite purpose and was designed to keep the livestock, especially cattle, healthy. The croft could be an old one, or it could be freshly established, and there is one detailed description of how a croft could be made by placing stones at the four corners and charming them.The ‘croft’ of the title is a piece of cultivable land which is left untilled in order to devote it to a supernatural being, one name for whom is the ‘good man’. The practice is documented in Scotland in the sixteenth and seventeenth centuries through official and kirk records concerned with stamping out the practice and in the eighteenth and nineteenth centuries through accounts which see it as an interesting survival from the past. The setting aside of the piece of land had a definite purpose and was designed to keep the livestock, especially cattle, healthy. The croft could be an old one, or it could be freshly established, and there is one detailed description of how a croft could be made by placing stones at the four corners and charming them. 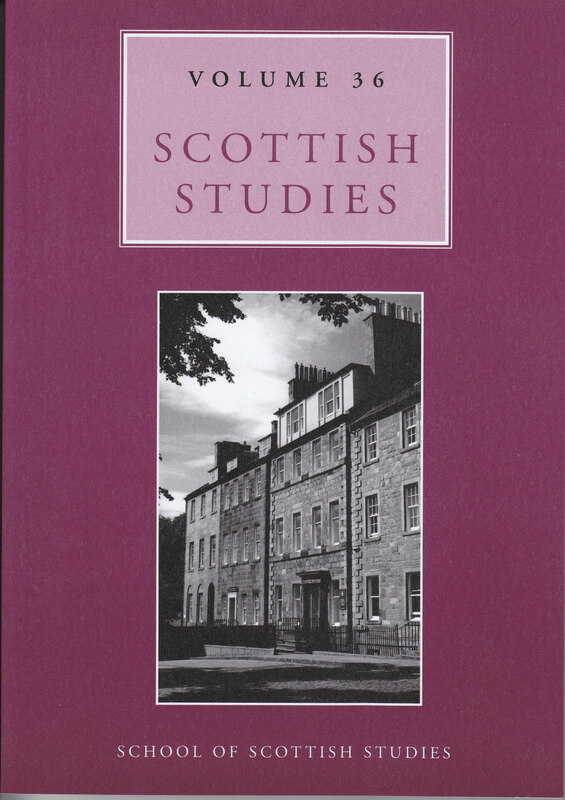 Lyle, E. (2013) “Good Man’s Croft”, Scottish Studies, 36, p. 103. doi: 10.2218/ss.v36.2707.